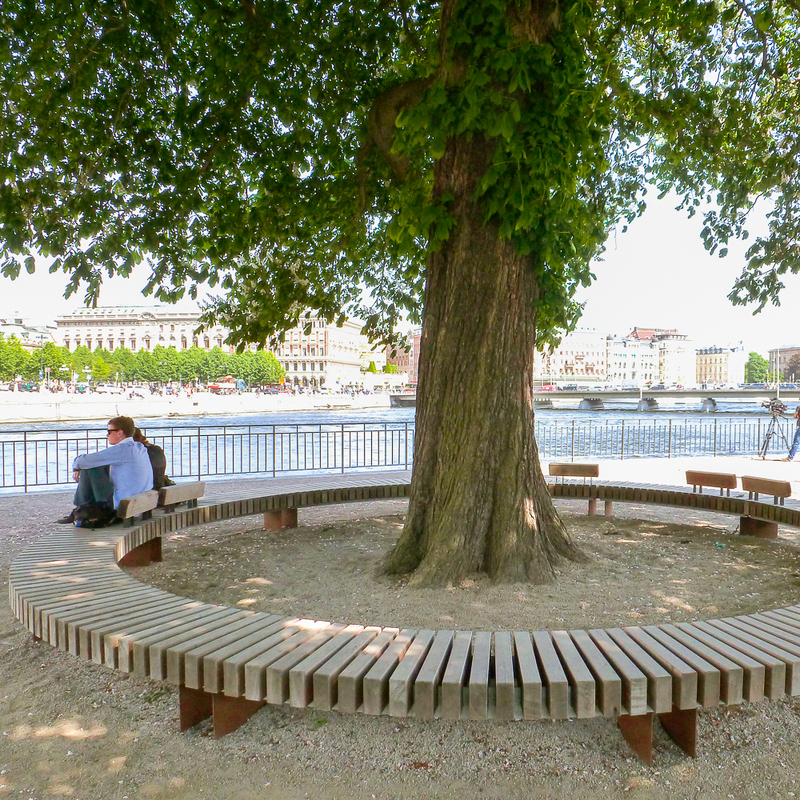 Monumental urban trees call for a generous circular bench with well-protected growing space. 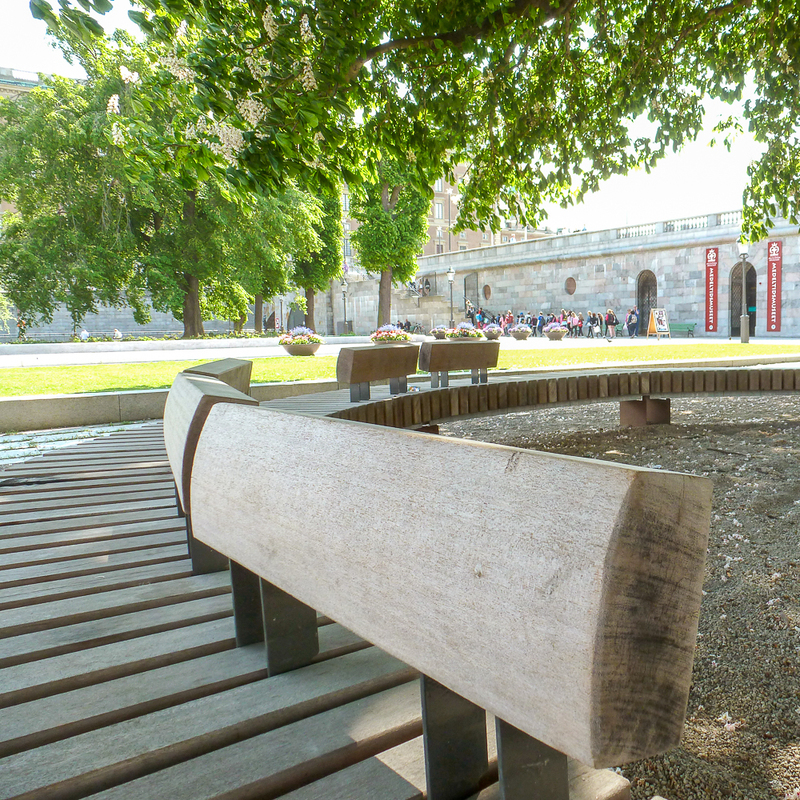 The benches are available in 6 dimensions. An optional ‘Second Row’ (SR) is available, providing raised seating. The backrests are optional. The supports and curved frame are made of thermo-galvanized, coated or CorTen steel. 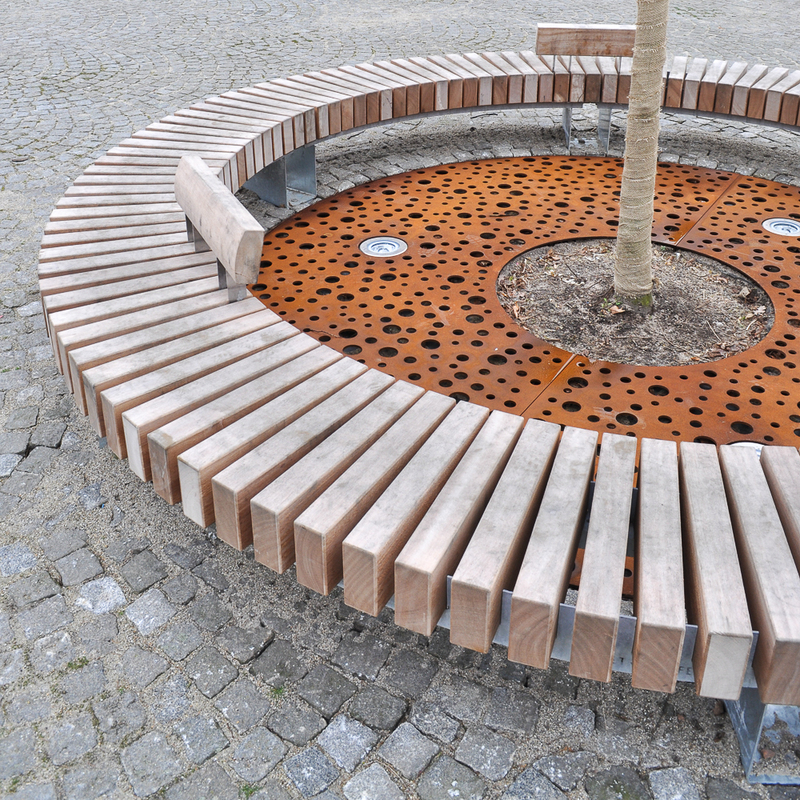 The circular benches are made of 100% FSC® untreated hardwood. 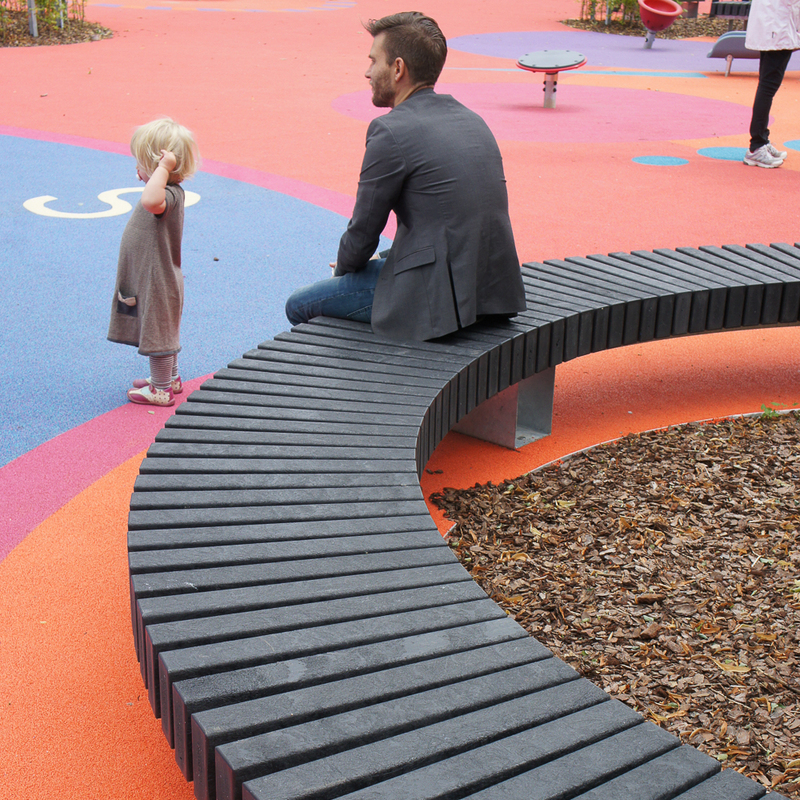 They are also available with All Black beams, made out of recycled black plastic.